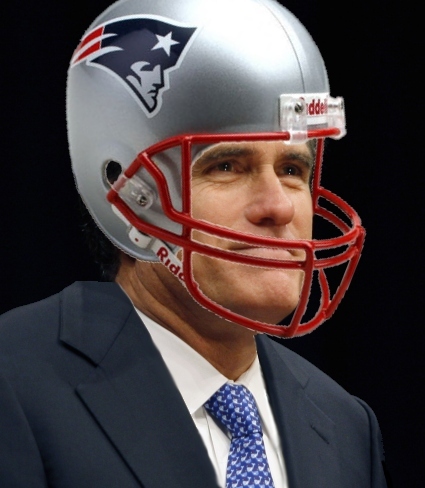 QB Mitt, suited up and ready for action. There’s no more football, not for an excruciating six months. Not even a Pro Bowl, a panacea gridiron fans used to be able to count on to ease them down gently after the Super Bowl. That game is now held on the empty weekend prior to the big game. For a society that loves violent sports as much as ours, what will football fans turn to? Basketball? Please! They don’t even wear pads. Hockey? Maybe that’ll pacify Canadians. No, sports fans need something as hard-hitting and mind-numbing as football to help with their painful withdrawal symptoms. Luckily this year, they have the presidential campaign! And the playoffs are on. It’s been a grueling schedule, and it’s already down to the two teams left in the Republican Conference Championship: The New England Romneys vs the Atlanta Gingrich. Of course, this game lasts a lot longer than one afternoon, and that’s the beauty of it. No need to face withdrawals for a long time. The game has already started, but it’s not even halftime yet, despite what Clint Eastwood says. Both teams have made some big gains, and it’s been as bone-crushing as advertised. In fact, this year, thanks to the Super PAC steroids being allowed by the Supreme Court, the teams are bigger than ever in history, and they are delivering head-rocking blows that are hard to watch. Perfect for fans who are missing football. Team Gingrich pledges a hard-hitting game. The Romneys scored first in New Hampshire, but it looked like the Gingrich was poised to mount an upset early on, scoring big in South Carolina and gaining the momentum. “Tiny” Newt, as the team’s quarterback is known, is not big on restraint. After the score, he bragged that his team was looking like a shoo-in, and that he was already looking ahead to being invited to a showcase game on the moon next year. But then they let Mitt, QB for the Romneys, slip by for an easy score in Florida. Then another waltz into the endzone in Nevada, and now it’s looking like it’s team Romney who will be headed to the Super Bowl against a formidable Obama team. But not so fast. We’ve seen these contests go back and forth, and with the unlimited power of that Super PAC juice, anything could still happen. The Romneys hit the Gingrich hard with blows to the fidelity bone — a sore spot for them — which helped Mitt score several times. 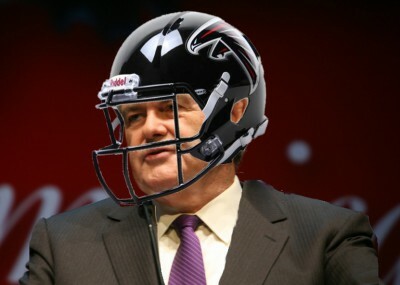 But the Gingrich can hit back hard with the “Mormon Post,” or they could run the well-worn, but ever-trusty “Flip-Flop Reverse,” and one crushing blow could put QB Mitt down for good. Stay tuned, America. Football may be done, but it was only a warm-up for the kind of gut-wrenching violence you’ll be seeing as this campaign heats up!